While walking her poodle, Olivia Limoges discovers a dead body buried in the sand. Could it be connected to the bizarre burglaries plaguing Oyster Bay, North Carolina? At every crime scene, the thieves set up odd tableaus: a stick of butter with a knife through it, dolls with silver spoons in their mouths, a deck of cards with a missing queen. Olivia realizes that each setup represents a cliche. 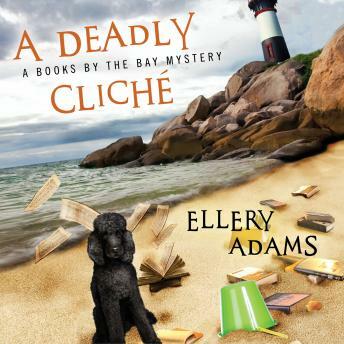 And who better to decode the cliche clues than her Bayside Book Writers group?